Trump administration officials had no plans in place to deal with more than 2,600 migrant children separated from their parents at the border because the Justice Department gave them no advance notice of its “zero tolerance” policy, according to government investigators. The report, by the GAO, offers the most complete account yet of the Trump administration’s implementation of a decision to criminally prosecute all adults suspected of crossing the southwest border, which created such an outcry that President Donald Trump effectively reversed it three months later. Officials from the Homeland Security and HHS departments — the two agencies tasked with processing and maintaining custody of separated parents and children — told investigators they took no steps to plan for a spike in family separations because they learned of the new policy only when Attorney General Jeff Sessions rolled it out in April. Under the policy, all suspected border-crossers referred to DOJ — including parents and asylum seekers — were prosecuted for illegal entry or reentry. The strategy, fully implemented in May with cooperation from DHS, led to thousands of family separations over a three-month span. The GAO report also found that border officials had ramped up family separations even before Sessions instituted the zero-tolerance policy. Officials in the Office of Refugee Resettlement found the percentage of children in its custody who were known to have been separated from a parent rose from 0.3 percent in November 2016 to 3.6 percent in August 2017. ORR officials questioned their DHS counterparts about the increase, according to the report. “In response, DHS officials stated that DHS did not have an official policy to separate families, according to ORR officials,” the report reads. Homeland Security Secretary Kirstjen Nielsen repeatedly asserted in the past year that DHS did not have a family separation policy, even amid the vast fallout over families split apart at the border. 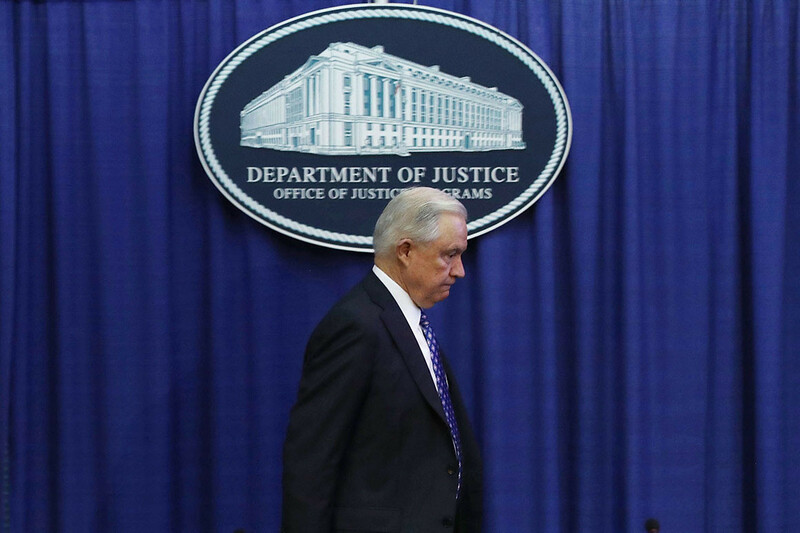 During a July interview, Nielsen also dodged questions about whether she knew about zero-tolerance before Sessions announced it. The GAO report echoes the findings of a similar investigation by the Homeland Security inspector general’s office. In a September report, the DHS watchdog found the department wasn’t fully prepared to implement the zero-tolerance policy, or to handle the subsequent family separations. The GAO report followed a June request for an audit of the family reunification efforts by Rep. Frank Pallone (D-N.J.), ranking member of the House Energy and Commerce Committee. The report also found that neither DHS nor HHS initially had computer functionality that allowed staff to indicate whether a child had been separated from a parent. Border Patrol updated its database to add a checkbox on April 19, about two weeks after Sessions’ memo, and the HHS refugee office similarly updated its database on July 6 — 10 days after a court ordered that families be promptly reunified. Even after the functionality was added, Border Patrol agents were inconsistent at using the databases to flag children who were separated from their parents, DHS and HHS officials said.